This unique elementary school program teaches children that being green can be fun. The elementary program introduces characters in which the students can relate. 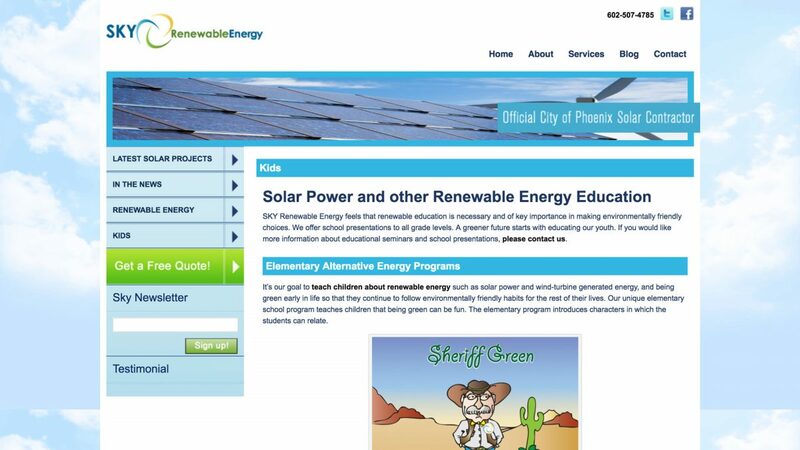 Sky RE-education programs start by defining the difference between renewable and non-renewable energies. Along with a fun project, they teach students how solar energy works and tips that they can implement into their daily life that can make a greener future for many years to come.